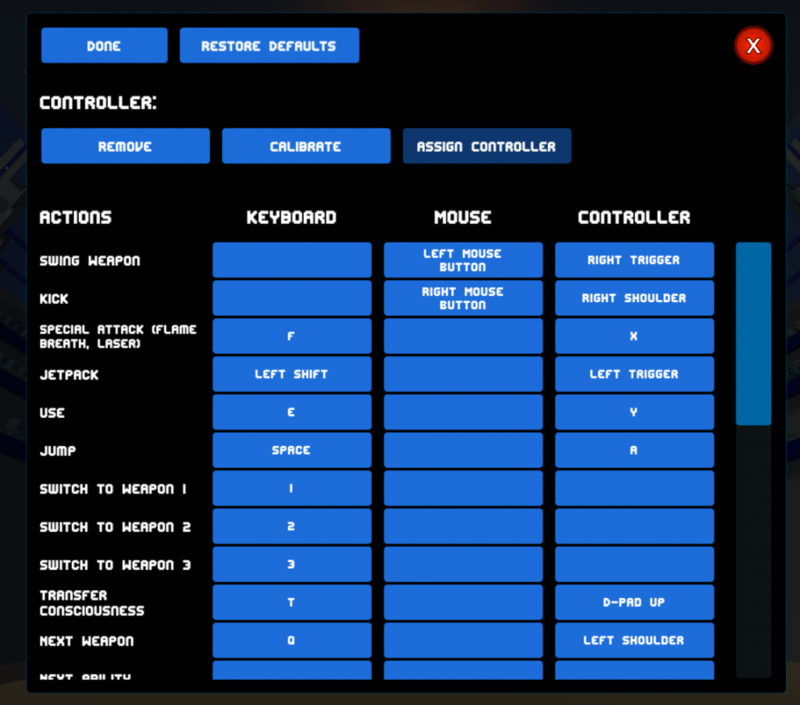 Brian April 11, 2019 No Comments on 0.13.2 – Controller Support & Key Remapping now LIVE! Turns out, eventually is NOW! Clone Drone now supports a wide variety of game controllers! 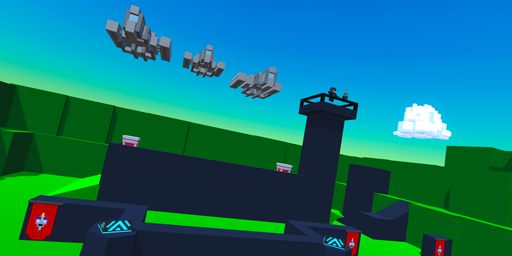 You may now lean back and bask in the glory of playing Clone Drone in the comfort of not-with-your-keyboard-and-mouse. The game’s UI buttons are fully navigable by your controller’s left stick or D-pad, and they come with visual selection and sound effects to make it clearer which button is selected. Thanks to everyone who helped test the controller support while it was in its infancy (shout-outs to Myriad453, AwesomePants, GeekCrafter412, Stealth000, Arcylic, davy jones locker, JustASloth, Jelley, theyummyoyster, RedCreep, X606, Dat Alpha Waffle, Niek_Alexander, LagTeam Leader & everyone from the Discord #controller-testers channel!). This rag-tag crew of brave experimental branch testers was super helpful in tuning the default set of buttons to something that was not just usable, but some may even say preferred! Let us know what you think! And if you try it out with an esoteric flight pedal or Guitar Hero controller, send us a clip, because that’s just awesome. Dvorak, Colemak, and AZERTY friends! No longer must you suffer the indignation of switching keyboard layouts or using external utilities prior to becoming a sword robot. With the new Edit Controls menu, you may now remap in-game actions to whatever key (or controller button/axis) you would like. Let us know if there are any actions you would like to see made configurable in this menu! We’re anticipating launching Chapter 4 and some new bonus challenges towards the end of April, if all goes to plan. We figured it’s about time for another UPDATE POOOOST! We are expecting Chapter 4 to release some time in April, and we will follow up with more details as we are closer to wrapping up its development. Controller support (yes, controller support!) should come out some time in the next couple of weeks. See below for more details! Check out these tubes! Erik has been taking the level editor’s new in-editor animation system and using it to bring Chapter 4 to another level. Watch for even more immersive, surprising moments during this chapter. 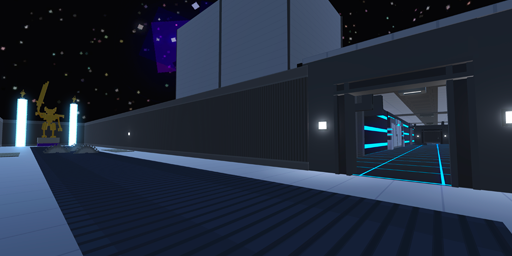 One request we’ve gotten from players since we started in Early Access has been to tighten up the graphics a bit. With the incredible Gary Lucken now part of the Doborog crew, Chapter 4 is bringing the game’s visuals to another level! 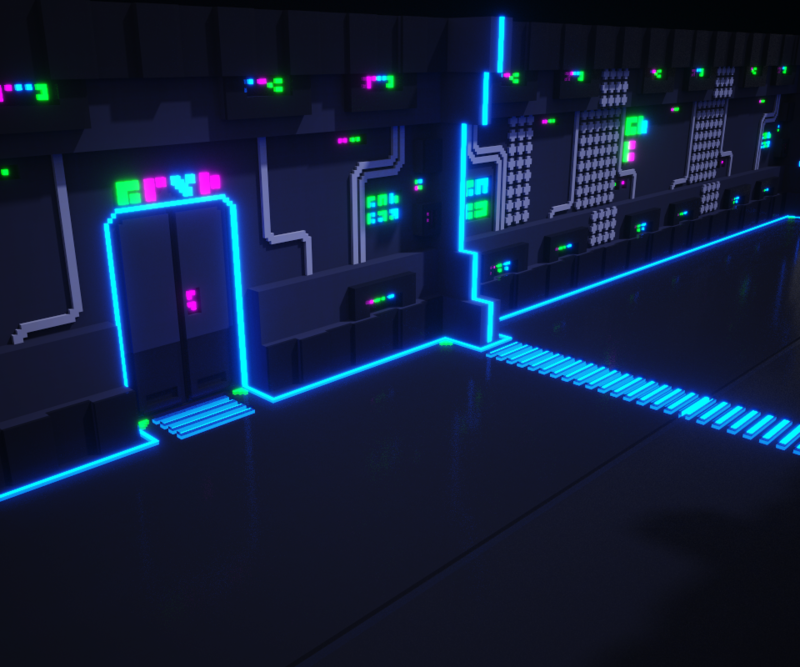 Another feature of the new level editor animation system added for chapter 4 is the ability to animate LIGHTS! One of the top requests we’ve gotten ever since we entered Early Access has been support for game controllers & key remapping. Bonus: Control Scheme / Key Remapping! No QWERTY? No problem! One of the things we’re adding in the process of adding controller support is the ability to re-map in-game actions to whatever keys or mouse buttons you’d like. Dvorak, AZERTY, and non-US keyboard users, rejoice! Want to help try Controller Support + Key Remapping Early? We’re working with some early testers to whittle down a default control set that feels great across the gamut of controllers out there. For those interested in trying the controller support + key remapping development pre-alpha early, join the #controller-testers room on the community-run Discord and we’ll put instructions there on how to test the controller support branch out. We’d love to hear what controls you find the most intuitive / enjoyable as you play. Note: the controller branch is still under heavy development and not quite feature-complete, so it may change / break your game data, so be sure to back your save data up before trying it out! Rest assured, we’re well on the way to concluding the game’s epic tale and rounding out the rest of our planned major features for the game! To all of you who have been with us in Early Access, diligently trying updates as we’ve continued developing the game — who continued streaming, sending in bugs, moderating community spaces, creating incredible workshop maps and blowing our minds with what’s possible with the tools we manage to share — thank you!! Stay awesome, and watch for updates here soon! Erik February 16, 2019 No Comments on February LBS Levels! 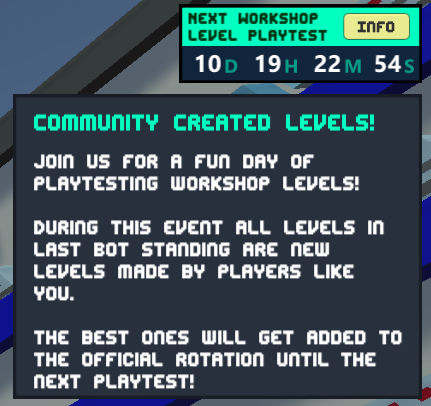 After a fun morning of playing your workshop levels I’m happy to announce that we have 4 gems temporarily joining the official Last Bot Standing rotation! This amazing looking level has an even more amazing Final Zone. Survive until the end, and you may encounter… THE BEAST! Why fight in buildings when you can fight ON them? Roof Top delivers a fun experience for all city loving humans. A tight design delivering fun battles with a high tempo! The Maze Below impressed us with its gameplay. Turn into garbage and experience Fireworks! 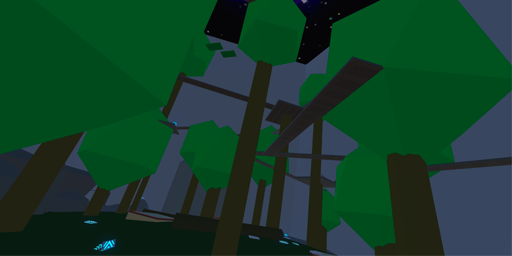 The sloped design of this level felt simple and surprisingly fresh. 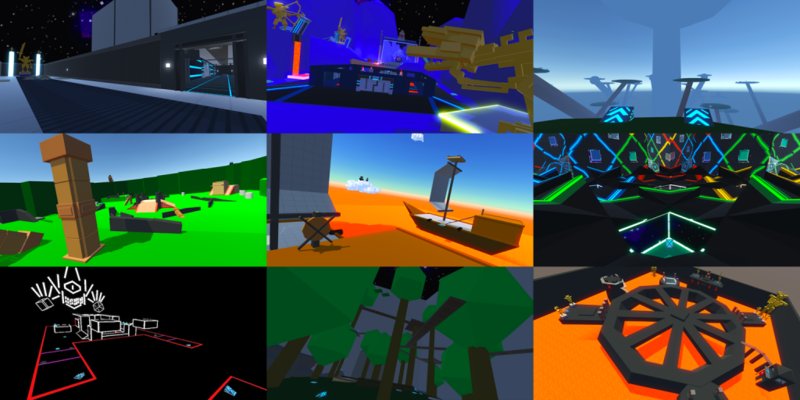 Thanks to everyone who submitted levels and participated in the playtest! Brian December 21, 2018 No Comments on Ho ho ho! 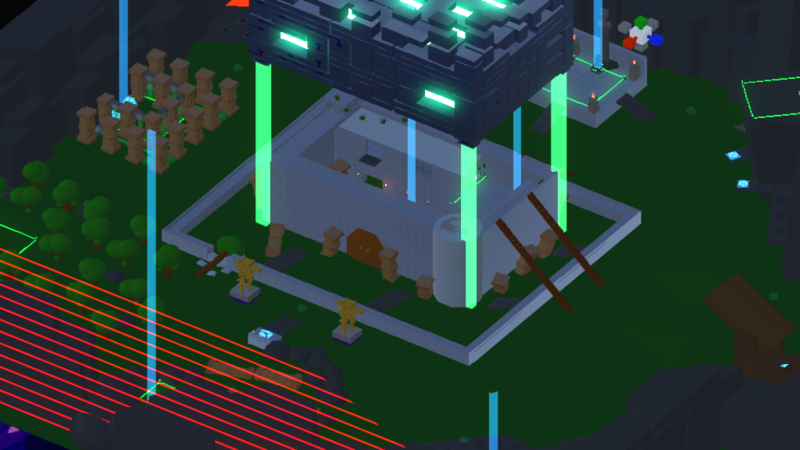 New levels from the Workshop in LBS! 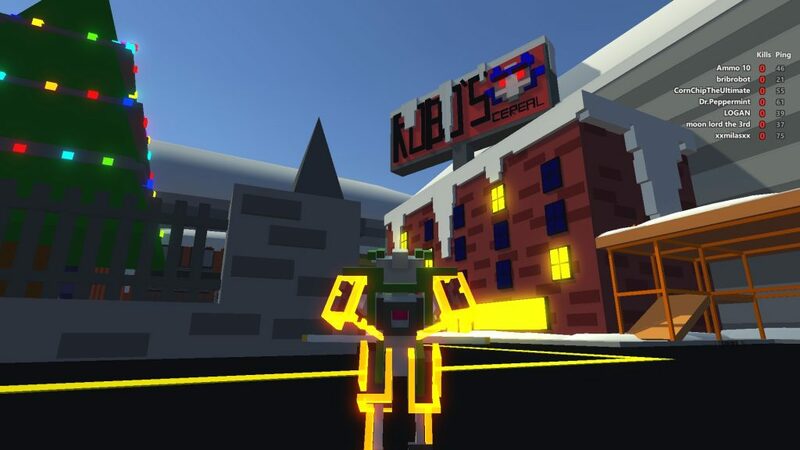 This past weekend we held another Last Bot Standing playtest, it was a lot of fun! 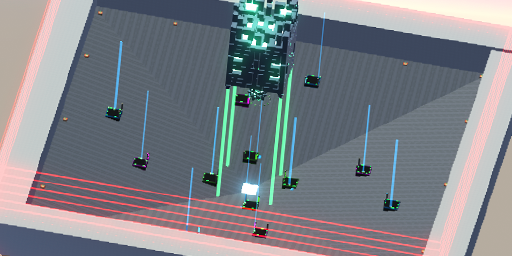 Thanks everyone who came to the stream to play test the levels. In the spirit of the season, we’ve added FOUR new maps to the Last Bot Standing rotation today, and may add one more over the holidays pending a couple of small level tweaks. 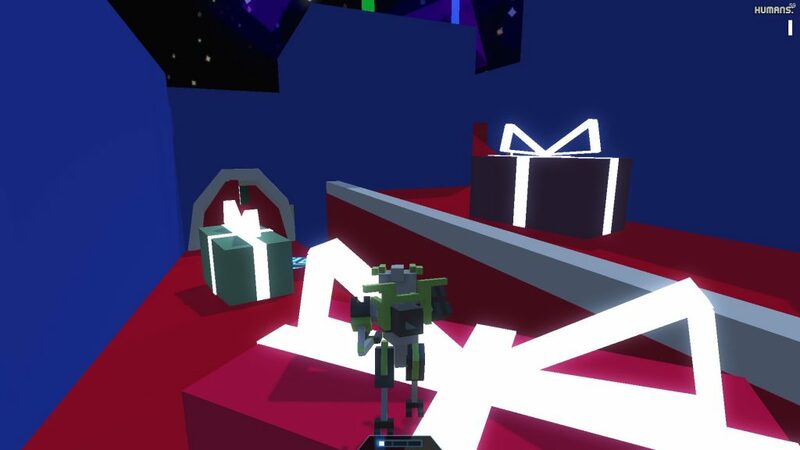 We mentioned for last playtest that our level themes are just suggestions to inspire those who don’t have an idea to start with, so you’ll see non-METAL-CHRISTMAS-themed maps sprinkled in we think you will still enjoy! 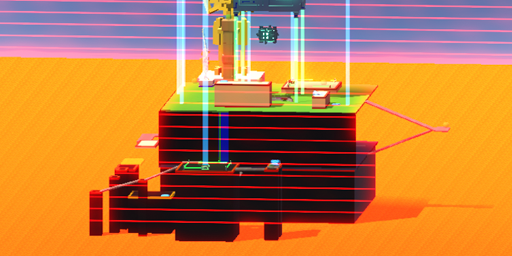 So if you have an idea for our next Last Bot Standing playtest, no need to wait for the next theme, you can start building now! Ho-ho-ho-ly mother of Christmas decorations! Lots of nice Christmas touches throughout this map. Grab a gift from on top of one of the gifts. 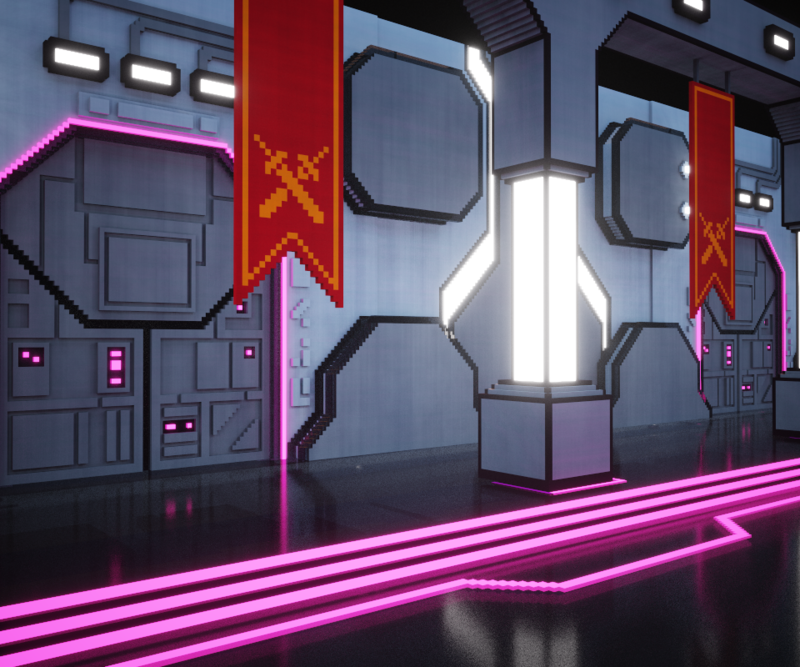 The combat area is cozier than most maps, so watch your back! If you like lore, you’re going to love this level’s background story. 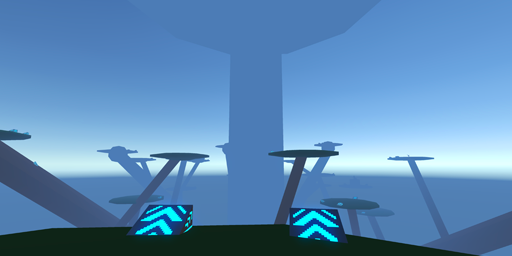 This level’s unique layout and stylish jump pads make for a fresh new environment to battle in. Watch your step and survive the harvest! 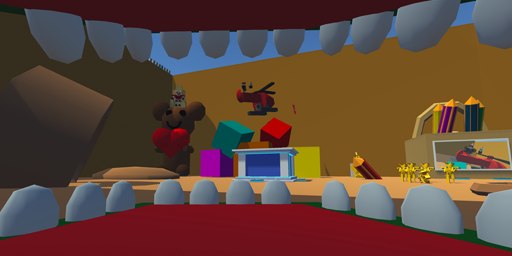 This level has so much character and hilarious elements, we really want to add it to the rotation, so we’re circling back with a few tweaks needed to get it ready for prime time. 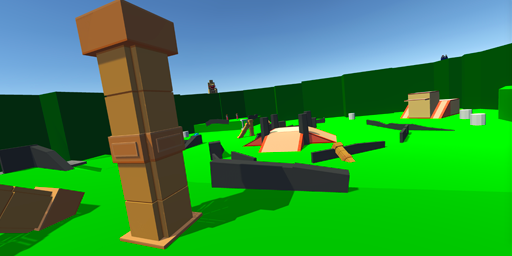 There were many deaths during the playtest caused by gawking in awe of the hilarious level elements. And in the corner, what is this?! 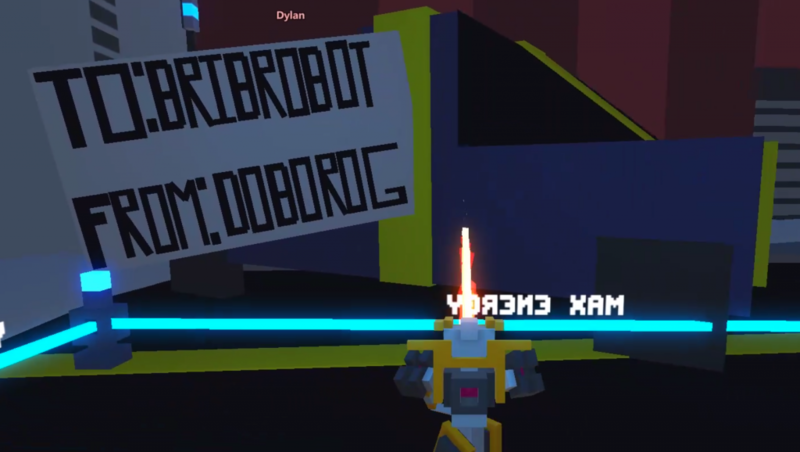 A gift, for me, from Doborog?!?! Aww, you shouldn’t have. You really don’t see enough laser-sword-robots hanging around castles these days. 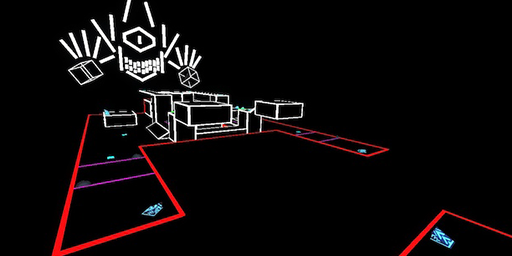 This blast from the past level sports a dangerous courtyard surrounded by places enemies could jump down from. This results in a very different feeling combat experience. I mean, doesn’t the name here say it all? (radio) GIFT HAS BEEN PLANTED. Santa’s Lair by Sir Kotok – awesome Christmas decoration! 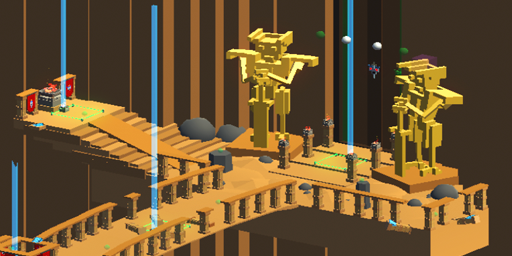 Long Live Metal Christmas by niekalexander – this level’s layout elements call to mind pixel art and voxel games like Minecraft. Beautiful work! Christmas Fight: Day Version by Sir Kotok – includes a fun factory to battle on! Next Playtest: in a month, theme TBD! These playtest events have been a ton of fun, so we’re gonna keep doing them! 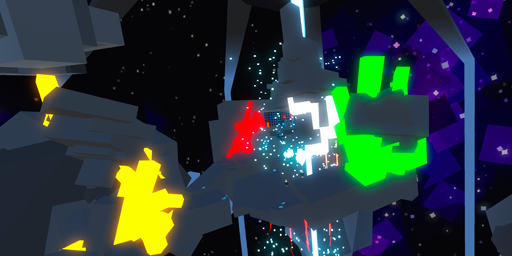 Some have asked that we give a bit more time between playtests, so we’ll be doing the next one in about a month. We’ll announce the next theme in an upcoming blog post, so watch for it! What’s next: Chapter 4, Controller Support, and Multiplayer Regions! If you missed our last update post, Erik has been building a brand new weapon and enemy for Story Mode Chapter 4. Watch for another post in the not too distant future on a neat level editing tool he’s adding to make the chapter even more dynamic than the others. Brian‘s been adding controller support to the game and UI, and some say it might feel even better than playing with a mouse + keyboard (sacrilege!). That will be shipped alongside a change to our multiplayer system to support more regions to hopefully improve pings for those of you in US-West and possibly other regions. Erik December 14, 2018 No Comments on Chapter 4 Sneak Peek – Spear Bots and Battlecruisers! We’re currently hard at work on Chapter 4! The game gets its third melee weapon: The Spear! Paired with a shield, it focuses on precise stabs with a solid defensive barrier. Note: All spear, shield and enemy models are temporary placeholders. 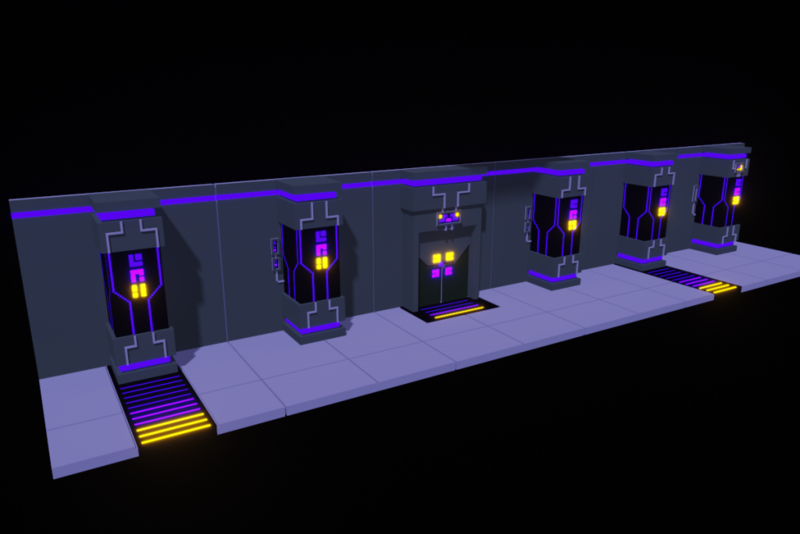 Gary has been exploring what the hallways of the robot Battlecruiser might look like! Most of the work still lies ahead of us. We’re still in the planning and exploration stages, but we’ll likely move on to level design in January and start putting the chapter together! It’s too early to tell exactly when this thing launches, but we’re aiming for sometime around February / March. In the mean time, join us tomorrow as we play test Metal Christmas levels from the workshop. And watch for a mini-update in the next couple of weeks related to controller support and server regions! 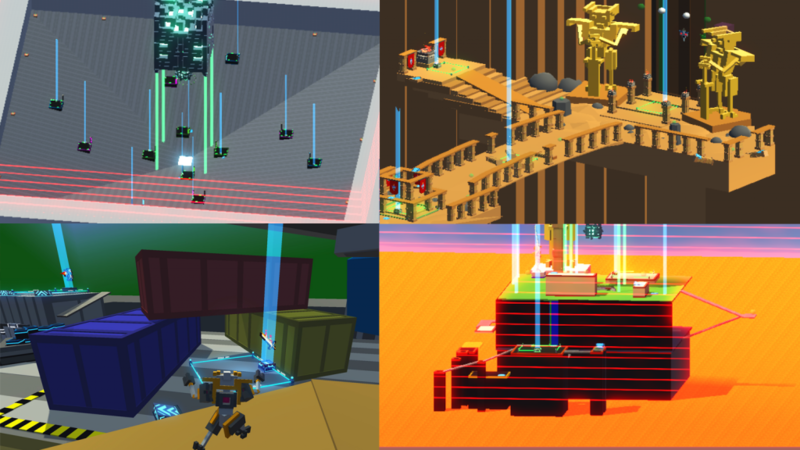 Brian November 7, 2018 No Comments on 0.13.1 – New laser challenge, private Last Bot Standing matches and workshop maps! We just released a cheeky update! Surprise! 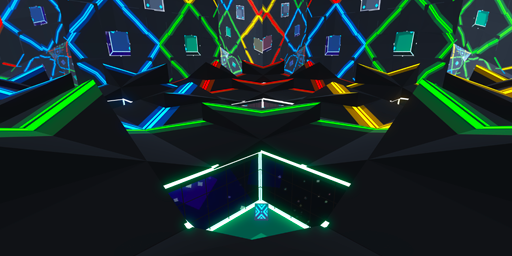 We were fixing a laser bug this update, so we figured, why not make a challenge that uses it! 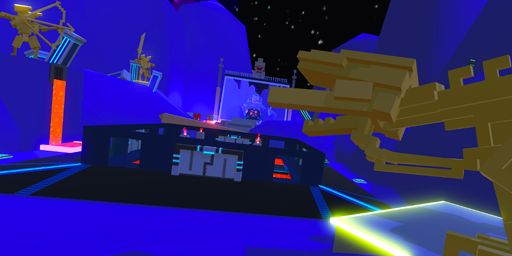 Practice your laser skills with 10 fresh laser-forward levels. 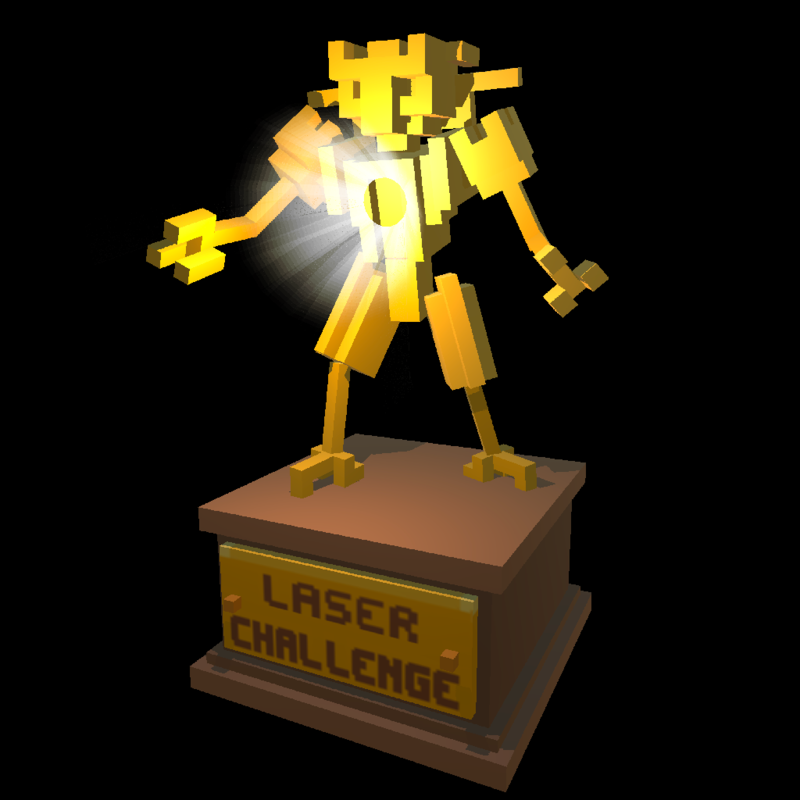 Will you earn the new laser challenge trophy? 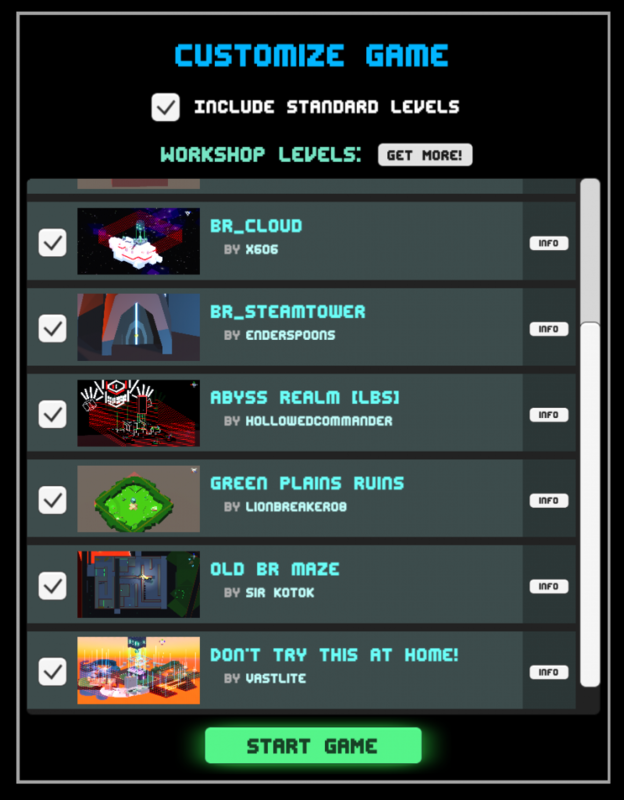 Last Bot Standing Workshop levels! 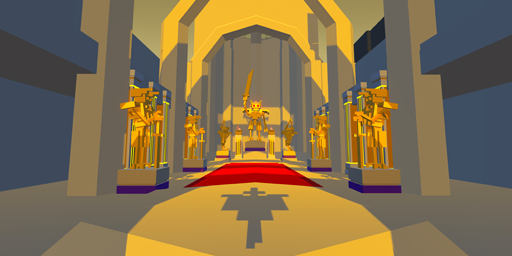 Some of you were asking if you could make and play your own Last Bot Standing multiplayer levels. Now you can!! With a single click, your work in progress level is on a dedicated multiplayer server and ready to play-test. 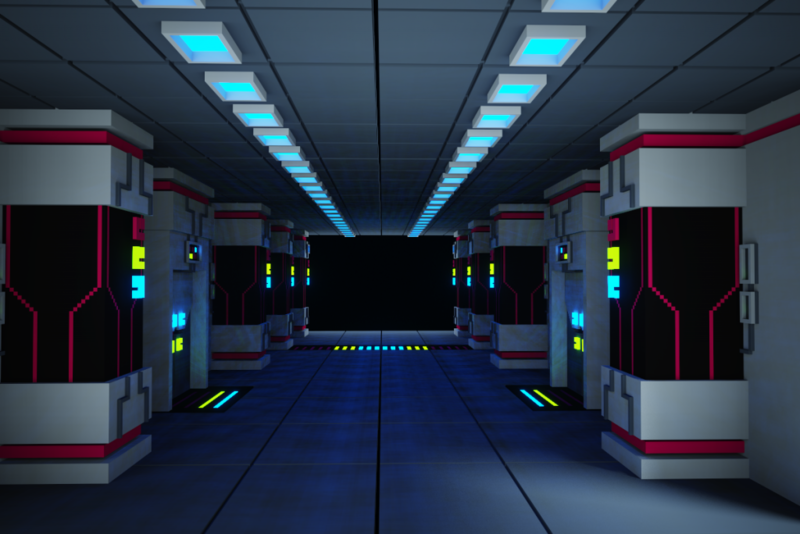 We now wish this was in every game’s level editor! Private Last Bot Standing matches! Create your own private Last Bot Standing matches with up to 15 of your closest friends. 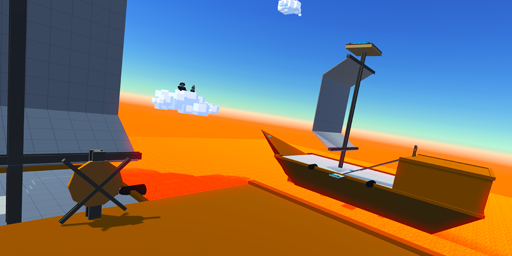 Download some new levels from the workshop and try them out! Live Community-Created Level Play Tests! You may notice a new countdown at the top of the game. 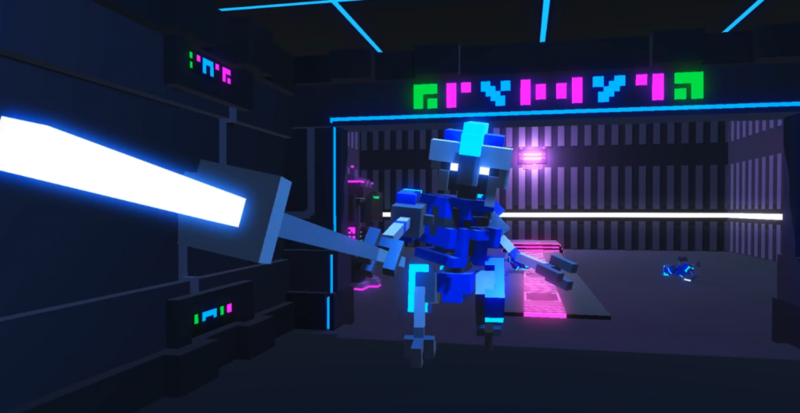 We’re going to get everyone together and test out some of the latest Steam Workshop levels on a Twitch stream together. The first one will be at Saturday November 17th at 10am PST. 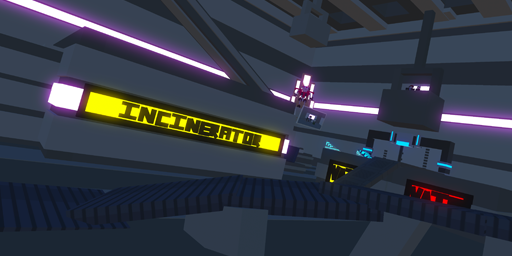 Load up your game then to try the community-created levels we’re testing! 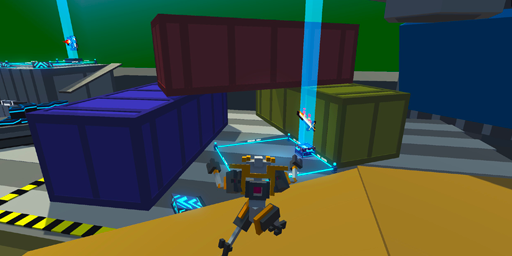 Win Counting – Unlock sweet transport bots! What’s better than ultimately futile human combat? Memorable ultimately futile human combat! Now when you win a public match with more than 5 players in it, your new Win Counter will go up. Once you reach a certain number of wins, your Transport Bot will automatically be upgraded to a new, more intimidating model. You may notice this includes macho garbage bots with mustaches. Are you happy, cogitoergosum?! Look what you’ve made us do. As part of testing the new ability to play-test Last Bot Standing workshop levels, we’ve added a new map to the public Last Bot Standing rotation called Rising Tide. 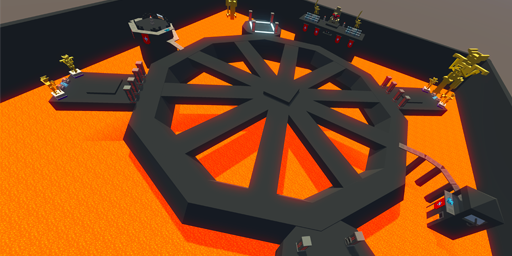 As lava rises up, the level’s combat surface grows progressively smaller. 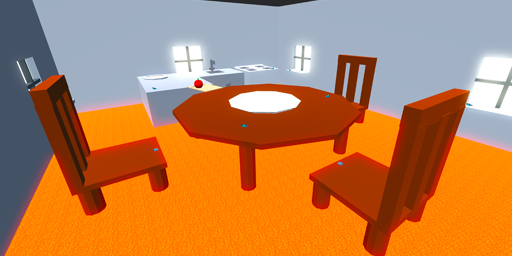 Kill your opponents before you drown in lava! We added a Setting to select an override region for matchmaking. Hope this helps those of you who were having trouble pinging regions, or couldn’t find enough matches in your own region. Let us know! We added a news widget so you can see what our latest updates have been (like… this one!!) You may also notice some cute little buttons right below there, including one to some Clone Drone merch from Design By Humans. Fresh. There’s so much we want to do next, we’re going to parallelize the next bit of development! Erik will begin work on Chapter FOURRRRRRRR! No firm release date for it yet, but we will share info once we start in on it! We’re make sure to share some teasers along the way. We’ve got some fun plans for it!! Brian will continue upgrading our multiplayer server and matchmaking system to support a US-West region! 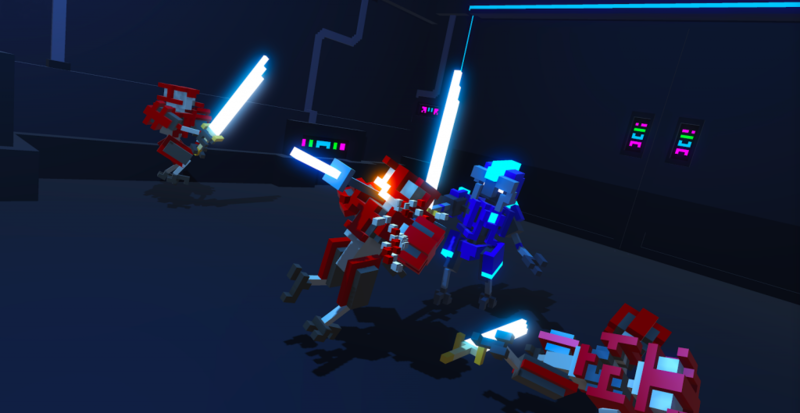 Don’t forget to come join our play test on Saturday November 17th at 10am PST! Add it to your calendar, and see you next update!